Circumstances: Selah was last seen on February 15, 2008. She may be in the company of her mother and an adult male. They may have traveled to Rochester, New York. Missing since 15 February 2008. I am finding it very difficult to get any news reports on tis case as many of the links have been removed!! This is a case dating back to febuary 2008! My understanding from various blogs is that Sasha Davis and her friend Jarib Bennett along with Sasha's 3 month old daughter Selah drove from the Bronx in New York to Rochester in New york to visit friends!!! They never turned up!! Their car was found abandoned about a fortnight later in the Rochester area of New York!! 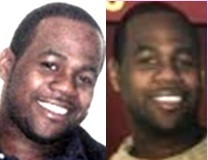 The three have not been heard from or seen since 15 Febuary 2008!!! Listing on Charley Project Website. Selah, her mother Sasha, and a friend, Jarib Bennett, left the New York City borough of the Bronx on February 15, 2008. Sasha and Selah lived in New York City, and Bennett lived in New Jersey. They were en route to Rochester, New York to visit friends and planned to return on February 19. They have never been heard from again. On February 27, their rental vehicle was found abandoned on Genesee Street in southwest Rochester, near the area of Genesee Valley Park. Bennett left behind a wife and two daughters, and Sasha left another daughter. It is uncharacteristic of them to leave without warning. Little evidence is available in their disappearances; they remain unsolved. Rochester police are investigating. Distinguishing Characteristics: African-American male. Black hair, brown eyes. Bennett's nickname is Griff. Selah is still listed as missing. There are no news updates at this time. Selah will be 4 years old next month. Selah is still listed as missing..
She has been missing for more than 5 years.. There is no new information available..
She would be 5 years old now..